Opry Mills Mall is not just about shopping. If you know where to look, you can spend an entire day enjoying all the family fun activities. There are a lot of stores and restaurants that have opportunities to play and explore. Start with this handy online map of Opry Mills, and plan your visit. Before you get started, stop by the Opry Mills Mall Guest Services desk and purchase a Savings Passport. It is $5 and you will save that and more with all the coupons and discounts it includes. 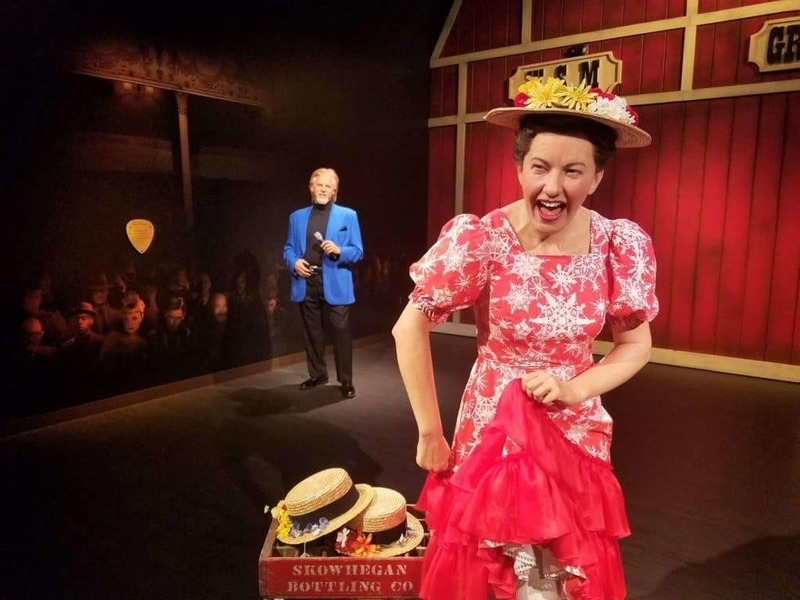 Madame Tussauds recently opened a new location in Opry Mills Mall. Walk though the star studded, music themed exhibit and see the lifelike wax figures modeled after your favorite musicians. You can get close to the wax replicas to take pictures and see the amazing detail. Merle Haggard’s likeness even has a working watch. Buy tickets online before you visit and save 21% off an adult admission and 32% off a child admission. Children ages 2 and under visit for free. The Rainforest Cafe is more than just a place to eat. It’s an experience! You get to eat your meal in a simulated rainforest. There are electronic animals that move and make noise, a simulated thunderstorm and a huge fish tank to see. Use the Savings Passport to get a free Chef’s Appetizer of the Day with the purchase of an adult entree. If you have small children who are sensitive to noise just prepare them. It can get loud but it is not scary. Take a group tour before the restaurant opens in the morning and walk around the dining room and learn about the rainforest, the animals that live there, and environmental conservation. Tours include lunch and range from $7.99 to $13.99 per person, depending on the entree you choose. The Rainforest Cafe also hosts birthday parties. Call 615-514-3000 for details and to book a tour. 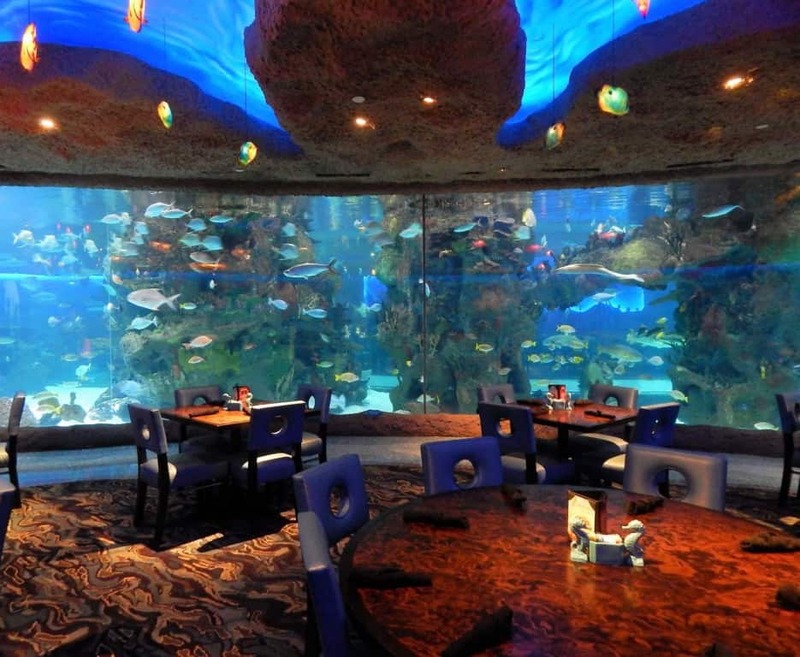 Enjoy a meal at the Aquarium Restaurant and watch fish, sharks and eel while you dine. The dining area encircles a 200,000 salt water tank. You can walk around and see the fish while you wait for your meal. Scuba divers can been seen daily doing maintenance and feeding the fish. You can also take several different tours lead by the staff Marine Biologist to learn more about the fish and their care. See what we learned on our tour HERE. Use the Savings Passport to get a $1.99 Kids Meal with the purchase of each adult entree. Bass Pro Shops is known for outdoor equipment and boats, but did you know they also offer workshops, classes and more for free? Visit and see the giant fish tank, then try out the store’s archery range. The salesmen will happily show your child how to safely shoot a bow. Come to the store in the summer and join in the fun for free family summer camp. It’s typically hosted in July and your family can attend workshops to learn about outdoor activities. Children get a lanyard and collect pins for each workshop they attend. There are also daily crafts and hands on demonstrations. Bass Pro does smaller workshops through the year focusing on hunting, fishing, camping and outdoor skills. Check out the Store Events and Outdoor Skills Workshops on Bass Pro Shops’ website for the current offerings. In addition, you can also celebrate the holidays with Bass Pro Shops! Both Santa and the Easter Bunny make a stop at the store. 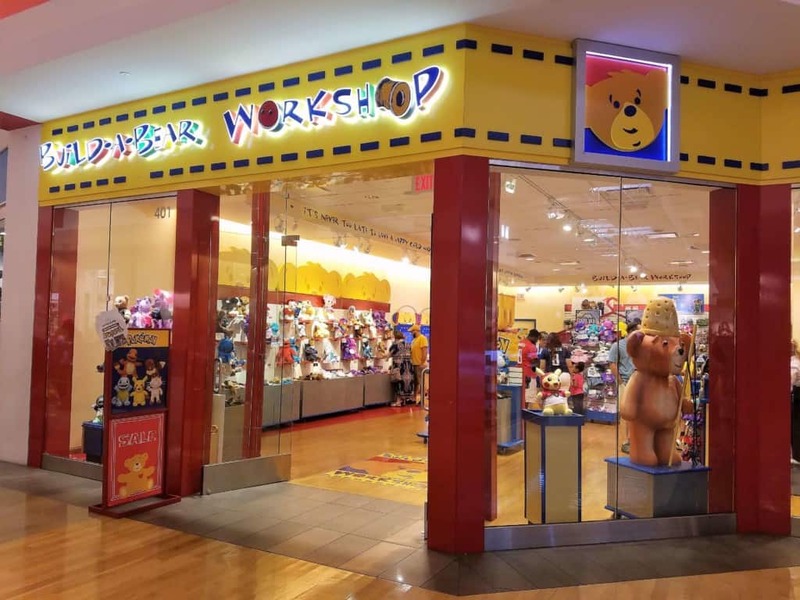 Create your own stuffed animal at Build-a-Bear Workshop. You can also host your birthday party at the store. Every guest takes home a new furry friend and there are games and activities lead by your personal party leader. Call the store at 615-514-2908 for additional information. Who doesn’t love a ride on a carousel? 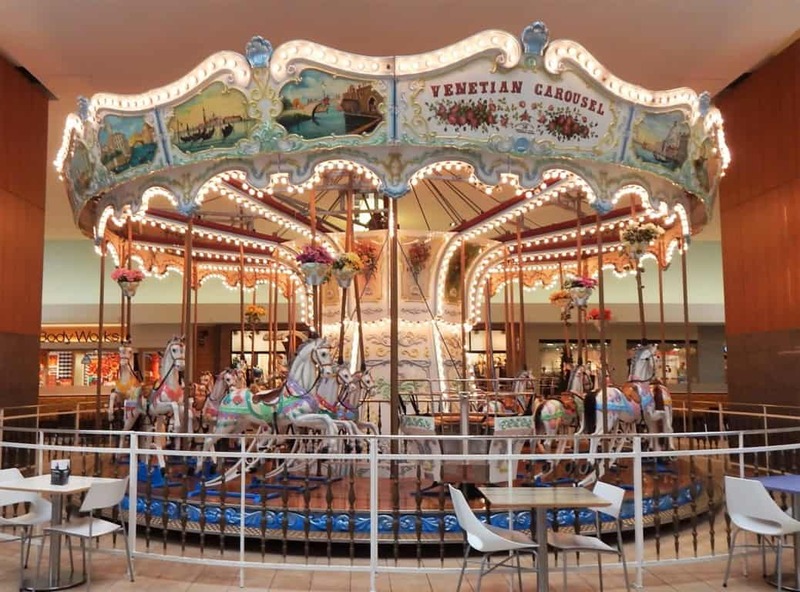 Visit Opry Mills’ Carousel in the food court and take a ride. If your child is under 44″ tall then you need to stand next to them while they ride for safety, but there is no additional charge for you. Dave & Buster’s has lots to offer! Have a meal and then play in the arcade, go bowling, or play some pool or shuffleboard. You can see our visit HERE. Come on Wednesdays and play games for half price. There is also an eat and play deal which gets you one of eight entrees and and $10 power card, starting at $17.99. There are more specials and deals depending on the time of year (see them HERE). 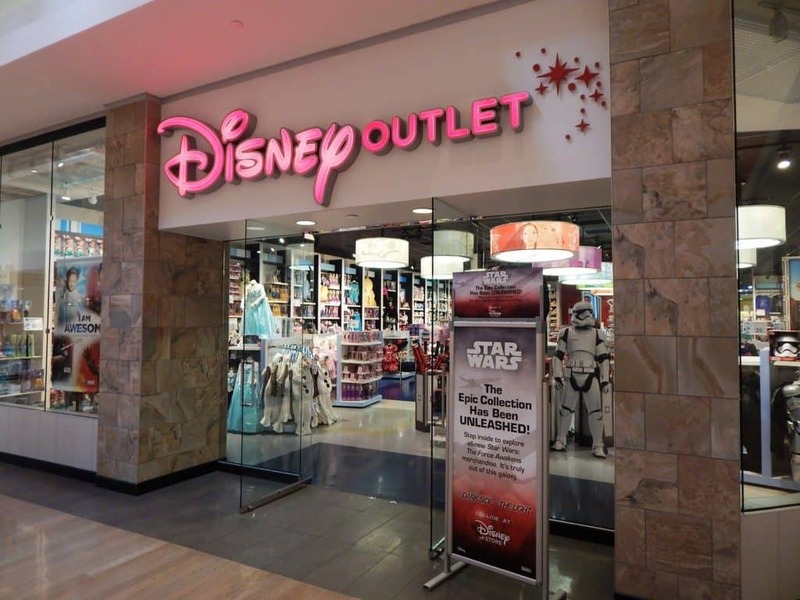 Opry Mills is home to the only Disney store in Nashville. It is an outlet, so they don’t offer all the events that a full store does, but they still have a lot of fun up their sleeves. Mickey and his magic book open the store daily at 10 AM (11 AM on Sundays). He always needs a helper and if you call ahead and ask, your child can “randomly” be selected from the crowd. If it is a special day (like a birthday) then Mickey will help celebrate. Is your family planning a trip to Disney World or Disneyland? Call the store and they will help you plan a special celebration to break the news of your trip to your kids. There is daily magic to be found too. Find a store associate and most days they have a trivia question and small prizes. And occasionally, they will host a random pop-up event like Princess Coronation day or Star Wars days. Give the store a call (the number is 615-649-0823) or check the Disney Outlet store website before you visit to see what might be happening. Use the Savings Passport to save 10% off a purchase of $40 or more. 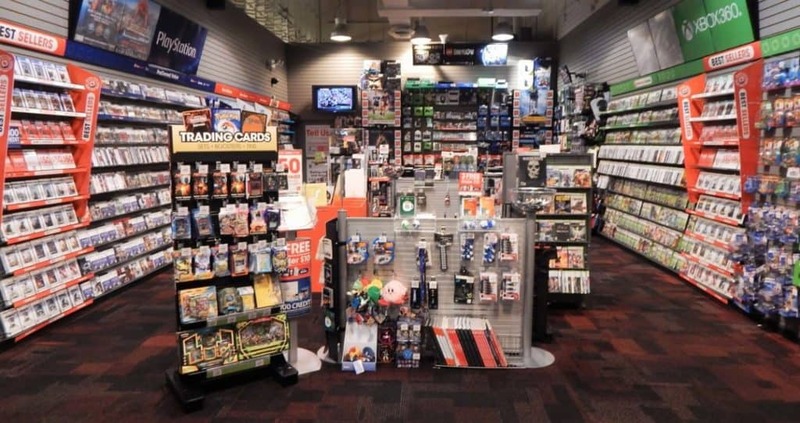 Home to all things electronic, Xbox, Playstation, Wii and more, GameStop hosts free in-store events. They have had Mario weekends, Batman focused events with free comic giveaways, game release parties and more! Some of the larger events are on the GameStop Opry Mills Mall website, or if you stop by the store, there may be a flyer. You can also call ahead (615-678-0988) to see what’s planned the day you visit. The best way to stay in the know is to sign up for the PowerUp Rewards program and set Opry Mills as your home store. It’s easy to spend an hour at the LEGO store building and playing with the latest LEGO sets. There are interactive displays that change on a regular basis so there is always something new to discover. See our visit HERE. 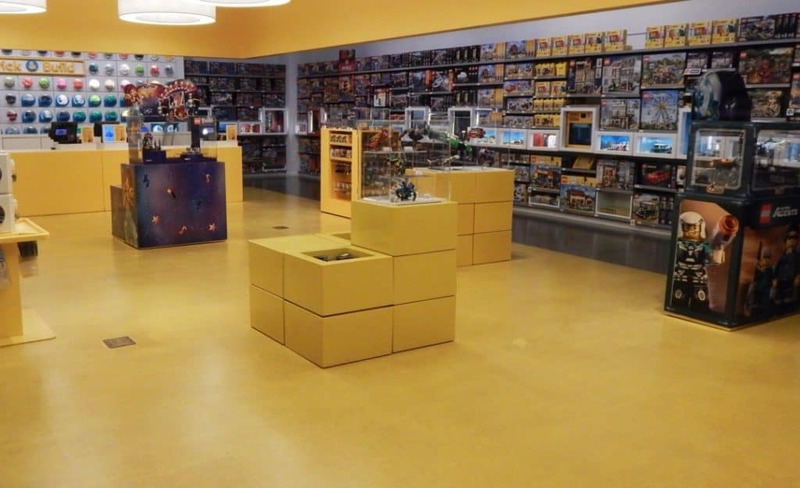 The store also hosts a monthly LEGO club, special events and a monthly free LEGO build. You can see the monthly schedule and register for events and builds on the LEGO store’s website. Take a ride through the mall on a trackless train. The seats are large enough for kids and adults so the whole family can take a train ride through the Mall. Rent one of the many Zoomers available and go for a ride! We spent $10 for 10 minutes and it was plenty of time for our whole family to try it out. 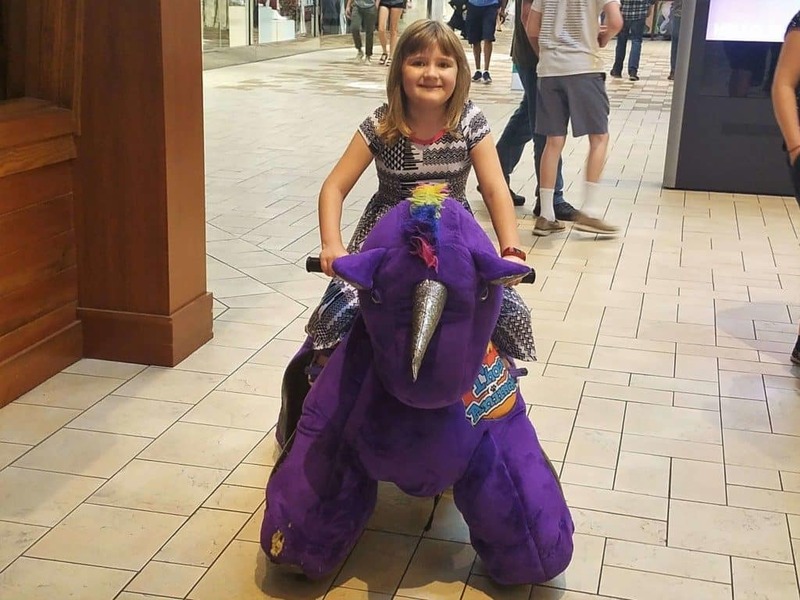 The animals can carry up to 500 pounds so you can easily ride two at a time. Take your family to the movies at Regal Opry Mills. With 20 screens there are plenty of shows to choose from. You can also see a major motion picture in the IMAX theater. Join the Regal Crown Club and earn discounts and see the latest promotions and specials HERE. They don’t call Nashville “Music City” for nothing! 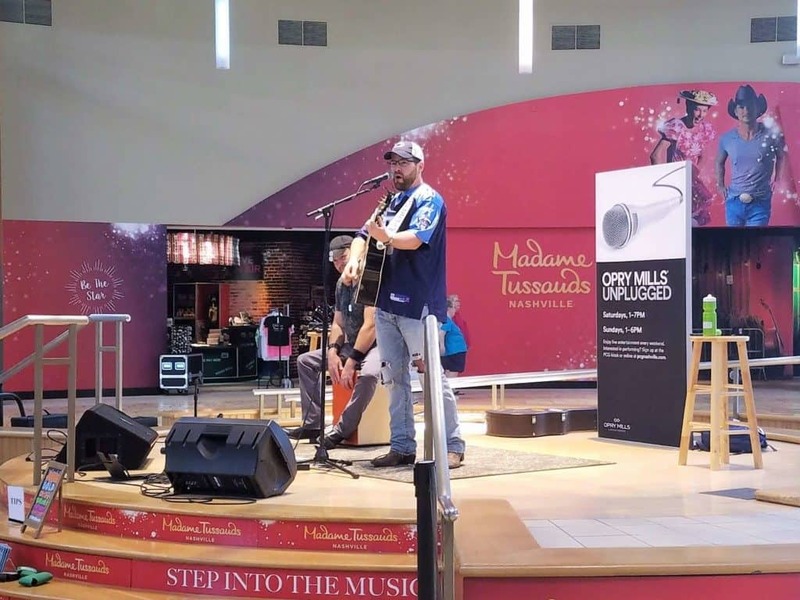 Even the mall has a stage, and you can see live performances for FREE! Check out the Mall’s event page for the latest schedule. Have a little one that wants to explore? Opry Mills has a great play area for small children. It has only one entrance/exit so it is easy to keep your child in one area. The floor is padded for comfortable crawling. There are large statues to climb on and explore and at one end there are interactive games and a working piano to play with. The entire area is surrounded by comfy chairs and there are even electrical and USB plugs to charge your devices while you visit with your friends and watch your little ones play. 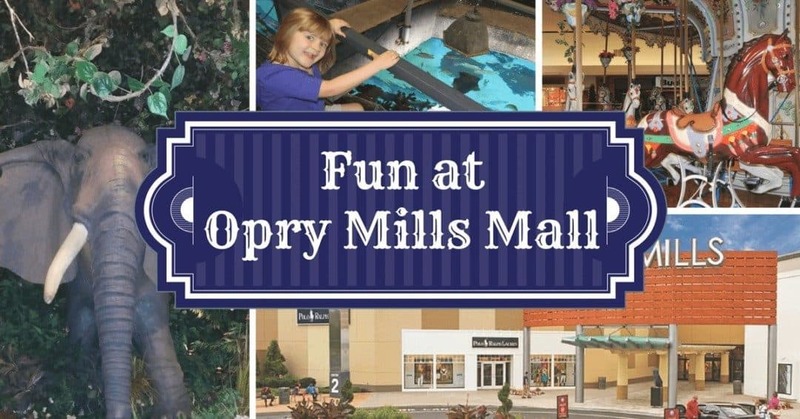 As you can see with a little planning, it is easy to have a great day of fun at Opry Mills mall and score some great deals on entertainment. Stay and have some lunch at one of the many restaurants in Opry Mills Mall for even more fun! Let me know if I missed anything or if you have more ideas of fun ways to enjoy the Mall. This article contains affiliate links. Your purchases will help support all we do at Nashville Fun for Families so we can bring you more ideas for fun! Thanks for supporting us!